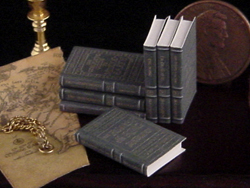 A big thanks to Etsy artist Grazim for including my miniature books in an Etsy treasury! My faux-leatherbound set of Tolkien's "Lord of the Rings" is part of a treasury titled "This is My Life," curated by felting artist Grazina, aka Grazim, of Vilnius, Lithuania. 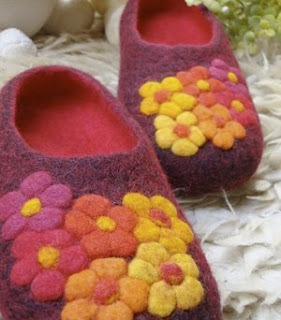 She makes beautiful, cozy wool felt slippers (you just want to sink your feet into them!) as well as other clothing and felted art. Check out her shop and take a look at the beautiful items she put together for the treasury! You can purchase the miniature "Lord of the Rings" set and other Tolkien books on my website or in my Etsy shop! 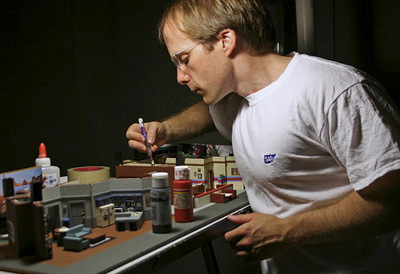 I love this miniature project by Charles Brogdon! 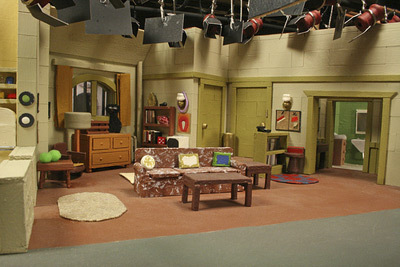 One of the things that's been on my To-Do List for years now is creating miniatures of some TV homes - The Flintstones, Bewitched, Lucy and Ricky's apartment, and so many more. Don't ask me why, I just want to. When I was a kid I was always making Jeannie's bottle inside any container I could find. I secretly wished I could live there. 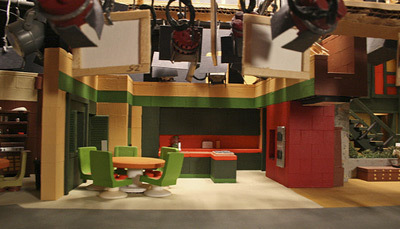 Well anyway, Brogdon - who may or may not dream of sleeping in a luxurious genie's bottle - has created an amazing project depicting famous TV show sets. 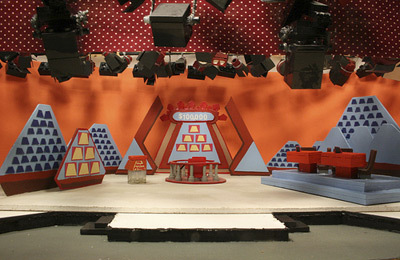 Over 20 different vintage shows, from game shows to sitcoms to soap operas, have been rendered in miniature. 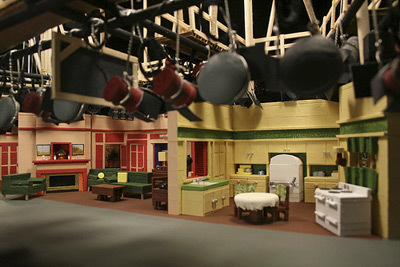 The dioramas are done as sets rather than "real" houses, so they include all the set-lights and other production paraphernalia - all that's missing are teeny tiny actors. 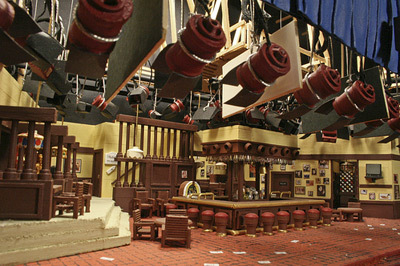 Brogdon has compiled photos of the miniature sets into a book, ON THE SET: Famous Hollywood Studio Sets in Miniature, available in hardcover or paperback. Definitely on my wish list! You can also check out the photos on his Flickr page. Today I went to the annual quilt show at the local Historical Society, hosted by the Pioneer Women's Club. 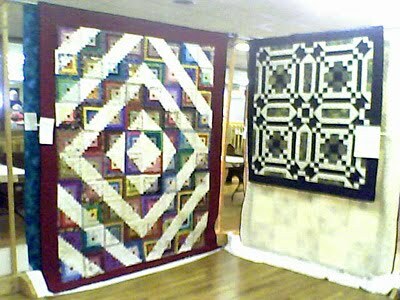 Saw some really breathtaking quilts and amazing workmanship (of course when it comes to quilts, I always have to get my nose right up in them to look at every little stitch!) Unfortunately my photos don't begin to do them justice. They were raffling off an absolutely gorgeous quilt made by the Pioneer Women, I bought a ticket but, hmm, my phone's not ringing yet! 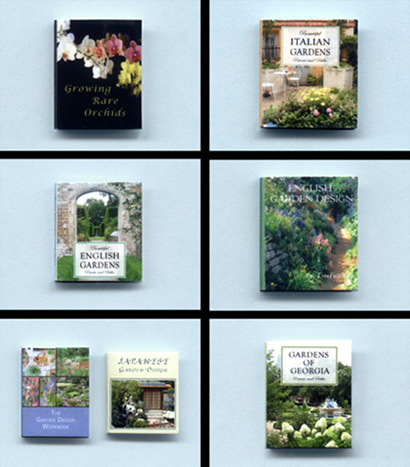 Botanical Bonanza - New Miniature Gardening Books! I've been adding new books to the TreeFeathers library! So far I've listed seven gorgeous new handmade 1:12-scale gardening books with beautifully illustrated covers. These are original designs, with blank pages and vibrant, high-quality cover graphics. 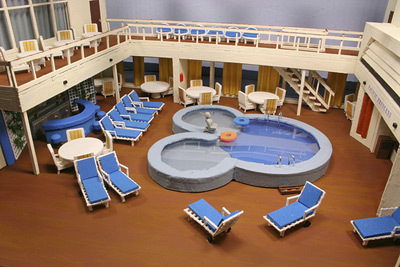 Perfect for any miniature dollhouse or garden scene! I hope you like them as much as I do.